Accommodation: Deluxe hotel in Kathmandu. 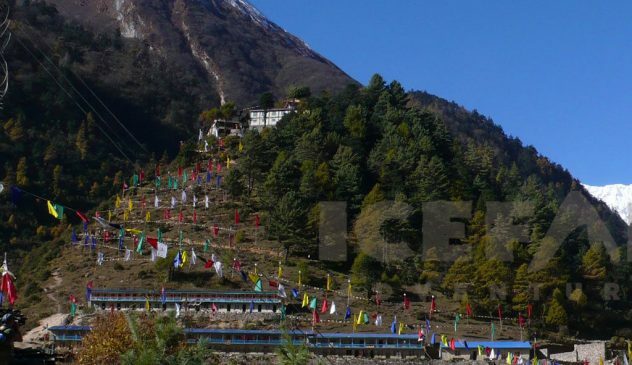 Home stay/Guesthouses during trekking. Upon our arrival in the Tribhuwan International Airport (TIA) in Kathmandu, we will be greeted by a representative from Himalayan Glacier who will drop us off at our hotel. After checking in, we take a rest or visit Himalayan Glacier’s office. We may also stroll in the streets of Thamel, a tourist hub in Kathmandu for some souvenir shopping. In the evening, there will be a welcome dinner hosted by Himalayan Glacier where you will be served excellent authentic Nepalese cuisine which will introduce you to the country’s food culture. Overnight in Kathmandu. Today after breakfast we start a guided tour to several of the most historical and spiritual attractions in Kathmandu. Some of these landmarks are considered World Heritage Sites; including the historic Durbar Square, the sacred Hindu temple of Pashupati Nath, the famous ‘Monkey Temple’ (Swayambunath) and Buddhists shrine (BouddhaNath) which is one of the large Stupas in the world. In the afternoon, there will be a pre-trip discussion where we can meet our trek leader and other team members. 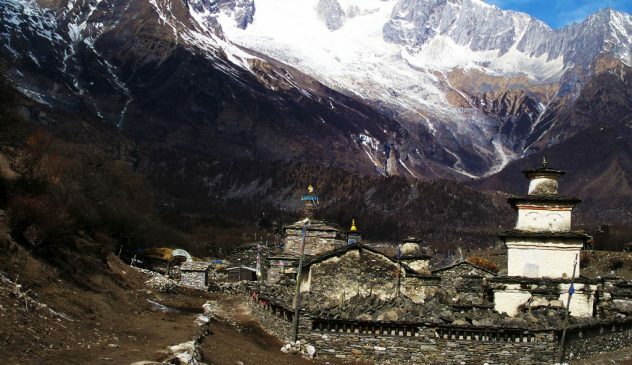 Himalayan Glacier briefs us regarding our trek as well as provides us opportunity to ask any questions we may have regarding our upcoming adventure. Overnight at Kathmandu. A 7-8 hour’s drive from Kathmandu into the western mountains takes us to Arughat via Dhadingbesi, headquarter of the Dhading district. Through the dirt road from Dhadingbesi viewing the greenery hills we reach Arughat, our trek start point. Arughat is a major town in the region and is divided in two parts with the Budhi Gandaki river flowing between them. Overnight at Arughat. Your adventure in Nepal comes to an end today! There is nothing to do but trade emails with travel companions and organize the photos. If you have more time you can do some shopping or sightseeing. A representative from Himalayan Glacier will take you to the airport approximately 3 hours before the scheduled flight. On your way home you’ll have plenty of time to plan your next adventure in the wonderful country of Nepal.